There are a number of long hidden culinary gems many students are not aware of, sitting right outside their doorsteps. The lure of exotic scents draws a crowd of customers into local restaurants. However, not many of us know that specialty markets hold the wonders of these cuisines right on their shelves. As longtime residents of Isla Vista or on-campus housing, University of California, Santa Barbara students quickly establish their go-to dining options. After all, this area is packed with places that cater to our every need. The Italian pizzas and pastas, Mexican burritos and enchiladas, and even Vietnamese and Indian cuisines are all within our reach—and at student-friendly prices. But once in a while, the selection of restaurants around us gets somewhat monotonous. There are also some students among us that have mastered the art of cooking a good meal, but many of us have not. The charm of undercooked pasta or soft rice, including the time it takes to make these supposedly delicious meals, does not appeal to many students. And no—instant ramen does not count as a home-cooked dinner. Bur what better way is there to explore the riches of foreign cuisines than by taking a shot at making it yourself? 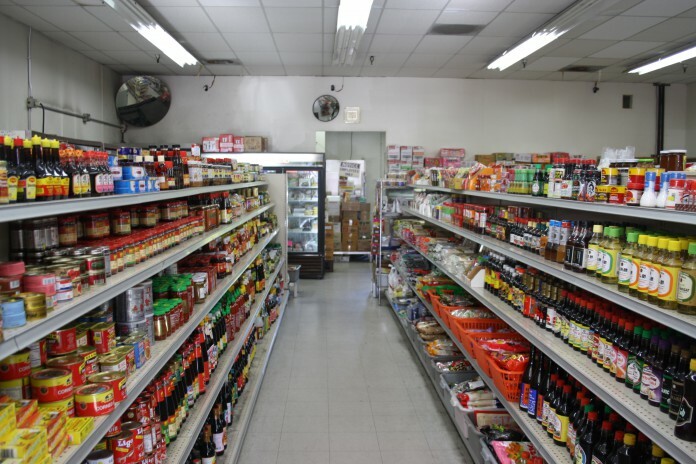 Ethnic food markets such as the Indo-China Market in Goleta and Pennywise Market located in Santa Barbara give all of us just such a chance. From the outside, Indo-China market seems to be just another small retail store in the line of random shops located next to the Goleta branch of chain superstore Kmart. One step inside, and the illusion of foreign lands sneaks into your breath. The smell of Indian spices, unrecognizable Chinese ingredients, and different products from all over Asia are all mixed together within the shelves of this mom-and-pop-sized supermarket. A quick run through the store will turn up products from India, China, Japan, Indonesia, and even unrelated luxuries popular all over the world such as Cadbury’s or Kinder’s delicious chocolate treats. Some of these products could be easily mixed in to any regular home-cooked dish and give it an exciting boost of unfamiliar taste. A couple of clicks on your computer, on the other hand, make it easy to find recipes for exotic dishes from all corners of the world. Places like Indo-China come in handy when a crazy ideas such as making your own sushi or Indian platter come into mind. Pennywise Market, located in a quiet, residential part of Santa Barbara, is even more unassuming than the former. A look from the outside will not give rise to suspicion that a whole different part of the world hides between the walls of this small family-operated Indian market. One step inside makes customers feel as if they have just arrived at a small Mumbai food shop. The smell and looks of this store are top-to-bottom, 100 percent Indian. People could find all of their Indian cuisine needs here, from an entire microwavable meal made in 10 minutes, to the smallest of ingredients and spices required to make one such meal all by yourself. For many students, these markets could help spice up some of their old rice and beans favorites. After all, one touch of Indian spice could give your homemade pasta a wonderful twist. Yet, these places also give many students (including myself) the opportunity to go back to their roots and comfort themselves with home-like flavors. For those of us who have been raised on the laps of foreign culinary traditions, places like Pennywise and Indo-China Market provide a nice break from the all-American pizza and hamburger take-outs. The all-encompassing nature of these stores gives everyone a chance to find something that they would love, whether they are dedicated followers of foreign cuisines or someone just waiting to get a sip of a new taste. They provide a chance to find something exotic to add to every meal, be it a small touch of foreign flavor or an entire meal cooked to order—just like at the restaurant across the street from your house.